Remind Dad about the importance of work-life balance with this incredible new book from entrepreneur, investor, NYT bestselling author, and media guru Randi Zuckerberg. In Pick Three, Randi tells us that it’s not about being well-balanced; rather, you should be well-lopsided. You can’t do it all every day, but you can choose the things to focus on each day—work, sleep, fitness, family, friends: Pick Three. Does your Dad geek out on all things dinos? Mine certainly does (and so do I! ), and luckily there’s the perfect book to gift him this Father’s Day. The Rise and Fall of the Dinosaurs transports readers back in time to when dinosaurs roamed the earth, in this enlightening and entertaining history of the dinosaurs. With compelling stories of Brusatte’s own expeditions, photos and illustrations, Dad will love this book! Dad just love to grill, right? Steak Revolution is guaranteed to get him firing up the grill this summer! With tips and tricks on butchering, trimming and grilling basics, as well as details about different cuts, Dad will learn how to cook a perfect, juicy steak every time! If you’re Dad is a Star Wars fan, then Star Wars Stormtroopers is really the only option this Father’s Day! This beautifully designed book traces stormtroopers from their development through all the movies to their many iterations in TV, comics, video games, novels, and pop-culture. With removable features, like posters and stickers it’s a must-have keepsake for any Star Wars fan! If you dad never shies away from telling it like it is, then he’ll love the refreshingly honest truth in The Subtle Art of Not Giving a F*ck. This book is quickly becoming a classic, as Mark Manson teaches readers to stop giving a f**k about so many things and figure out on what really matters. Gift this one to dad to help him become a better, happier person. Dad will love this modern reworking of the classic whodunit, from Anthony Horowitz, the bestselling author of Magpie Murders. Featuring a fictional version of Horowitz as the Watson to a modern-day Holmes, The Word if Murder tells the story of a woman who is found dead, mere hours after planning her own service at a funeral parlor. This masterful and tricky mystery is filled with surprises that will provide Dad with all the entertainment he needs. Maybe your dad is a whiz in the kitchen, maybe he’s not. Either way, 5 Ingredients by Jamie Oliver is the perfect cookbook to give him this Father’s Day! The book is filled with delicious healthy meals that only need five ingredients. Good cooking doesn’t have to be complicated! You can be Dad’s sous-chef in the kitchen as you try out recipes like Roast Tikka Chicken and Fish Pie. If you grew up watching hockey games with Dad, why not give him one of our favourite memoirs from Hockey Hall of Famer Doug Gilmour! 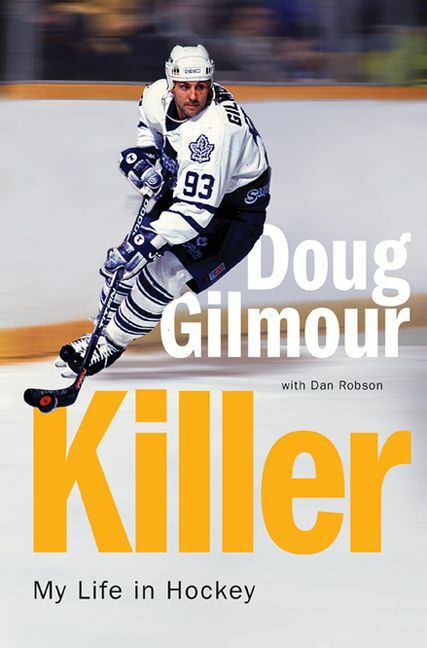 In Killer, Gilmour shares some fascinating stories from his twenty-year career, about stories about life on and off the ice. What book (and pair of socks!) will you be gifting your dad this weekend? Tell us in the comments below or on Twitter @SavvyReader.